FAST CHARGING MODE: When put your phone on the charger, this QI 2.0 fast wireless charging pad will juice up your Galaxy devices from dead to full in just about two hours, which is 1.4 times faster than standard wireless charging pad. APPLICABLE MODELS FOR FAST CHARGE: Fast charge modes are ONLY available for the Galaxy devices – S6 Edge+, S7, S7 Edge models. Other devices will charge at regular speed. Some devices may require an additional wireless charging receiver (Not Included). SAFETY GUARANTEES: Over-voltage, under-voltage, short-circuits protection to ensure safety for your cell phone. Intelligent LED indicator will indicate the charging status for safety charging. SLEEP- FRIENDLY DESIGN: Wireless charging with no beep and no annoying lights. Meanwhile, with soft and warm breathing LED, this charger is quite suitable using in the bathroom or study room and won’t affect your sleeping and harm your eyes. 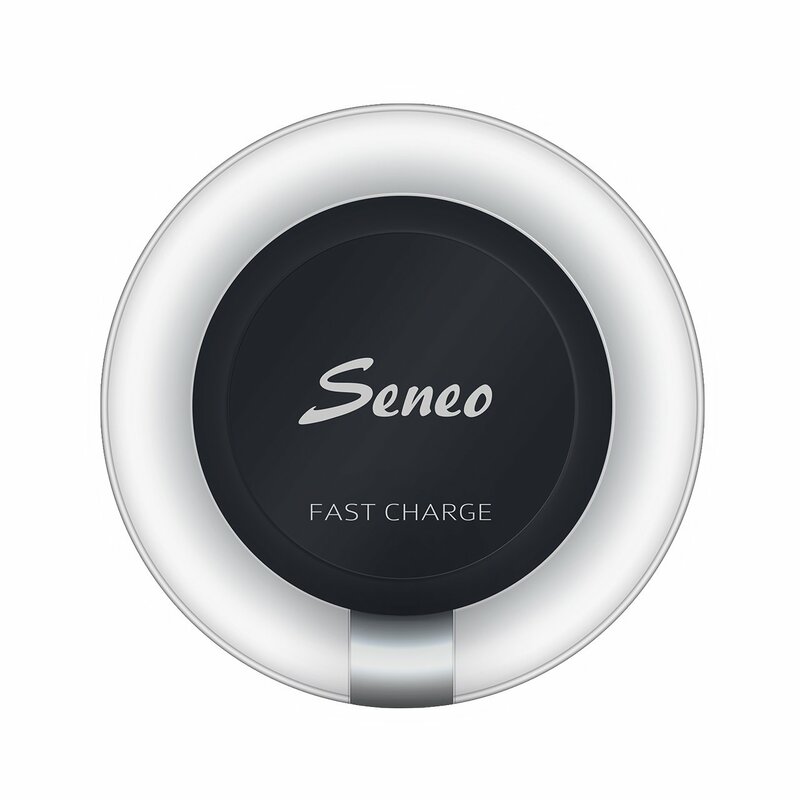 TIPS: For fast charging, this QC 2.0 adaptive fast charger is required QC 2.0 adapter(NOT INCLUDED) as its power source. It’s normal for your phone to get warm or even warmer during charging, and the PHONE CASES is suggested to be REMOVED during charging.